The Mountainside Medical Center nuclear medicine program encompasses both diagnostic testing and innovative treatment procedures. Our combined PET/CT scanner is a state-of-the-art tool for oncological imaging and diagnosis. Nuclear medicine is a medical imaging specialty that uses small amounts of radioactive material to diagnose or treat a variety of diseases including many types of cancers and heart disease. 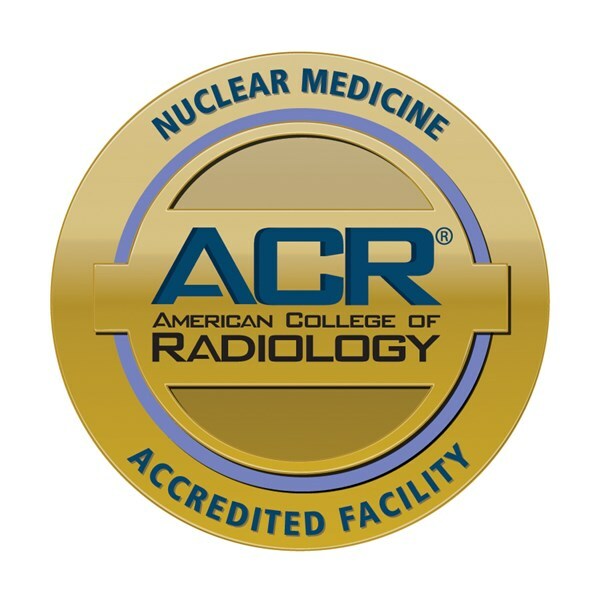 Nuclear medicine or radionuclide imaging procedures are noninvasive with the exception of intravenous injections. The radioactive materials used in nuclear medicine are called radiopharmaceuticals or radiotracers. A radiotracer is either injected into a vein, swallowed or inhaled as a gas and eventually accumulates in the organ or area of the body to be examined, where it gives off energy in the form of gamma rays. The energy is detected by a gamma camera, positron emission tomography (PET scanner) and/or probe. Those devices work in combination with sophisticated computer technology to create detailed pictures of the structure and function of a human organ or tissues. To schedule an appointment, please call 973-873-7787 or Toll Free 877-523-7787.